Community Board 9 approved a resolution Thursday night that asks the Landmarks Preservation Commission to landmark the entire cathedral campus except for a cut-out on a north lot where the Brodsky Organization is partnering with the church to build a 14-story, 428-unit apartment building that the church is counting on to fund repairs, upgrades and it’s ongoing operations. St. John’s has resisted efforts to landmark the entire campus for at least 10 years but has said the church itself could be landmarked. “This new building is only 40 feet from the church and as high as the church. It’s out of place and outrageous,” said Walter South, former Landmarks Committee chair of CB 9 who voted against the plan which passed by a vote of 29 to 12. South said he doesn’t buy the cathedral’s argument about needing funds to maintain the remaining campus. Handel Architects who designed the new building where rents will start at $1,700 has said the design of the modern glass structure will feature cutouts to create sight lines of the cathedral’s transept. Preservationist can also use the cathedral land marking to fight for a Morningside Heights Historic District, she said. The West Harlem Development Corporation, the organization allocating $76 million of Columbia’s money, took a major, tangible step on Monday, funding 500 summer jobs for local kids. The West Harlem Development Corporation has funded 500 summer jobs for Harlem teens, pledging over $750,000 to support the city’s youth employment program on Monday. It’s one small step for kids, but one giant leap for the organization that’s responsible for allocating $76 million of Columbia’s money—the check is the largest single expenditure the group has made since it formed in 2009. The development corporation has faced criticism from politicians for not taking swift action in distributing funds to the neighborhood in the wake of the University’s Manhattanville expansion. In November, the state attorney general’s office launched an inquiry to determine whether the WHDC was at fault. Those troubles are a thing of the past now, said recently appointed executive director Kofi Boateng. Indeed, the fanfare of a press conference on Monday morning to announce the donation of $756,000 to the city’s Summer Youth Employment Program was the sign of a rejuvenated organization. Held in the WHDC’s sparkling, week-old office, the announcement was the group’s very first public event, but belying this milestone was everything from the complimentary coffee and pastries to the presentation of the oversized check, with politicians and board members flanked by 25 smiling Harlem teenagers. 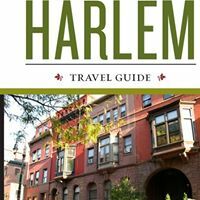 “This is the coming-out party of the West Harlem Development Corporation to show that yes we have a place, yes we have programs going, yes we are putting the money out, and yes we are building the partnerships and the collaborations,” Boateng told Spectator. Until Monday, the WHDC had spent only $700,000 of the $3 million it had received from Columbia—with $400,000 set aside for consultants. The group did not establish a website until December and did not purchase the office—a modest but sleek storefront on 127th Street, between Amsterdam and Convent avenues—until April. The $756,000 will allow local organizations to hire 500 more young people via the Summer Youth Employment Program, run out of the city’s Department of Youth and Community Development. The teenagers will receive nearly $1,200 for the seven-week jobs, while the organization that hires them gets a $325 cut per kid—so not a penny will go to the city’s overhead. Boateng cited low youth employment statistics as the main reason the WHDC chose to fund the summer program—the small budget limited the program to accept only 20 percent of applicants last year. “This year we expect that we can increase it to 33 percent. There’s still some [unemployed], but it’s a significant improvement,” Boateng said. “It’s about trying to create a platform for them … and to get them off of the streets, to give them opportunities to work in a structured program, like SYEP, that they can learn about workforce and job readiness, which is so often missing,” WHDC board chair Donald Notice said in an interview. In attendance were several Columbia employees, community leaders, and politicians, most notably Rep. Charles Rangel—on the day before the primary in which he’s battling four opponents for a 22nd term in the House. Rangel, looking healthy post-back injury, praised the development corporation’s choice to focus on youth employment, telling the crowd of 50, “This is not just a summer program. This is a ‘what do you want next?’ What do you want to build? And who do you have as partners? “Well, having Columbia University in the City of New York as one of them is a big beginning,” he added, stressing that the WHDC’s facilitation of the program and the group’s ties to Columbia are setting children up for promising futures. Rangel took a clear shot at Vince Morgan, a one-time aide to the congressman who ran for his House seat this year until dropping out in April. Morgan was one of the most prominent voices in calling for the attorney general’s investigation. Boateng said that the investigation has been put to rest. “The attorney general has told us that there was no finding of any malfeasance,” he said, noting that the attorney general’s office does not have to sign off on the WHDC’s expenditures, nor can it prevent them. Community Board 9, the body of 48 unpaid residents who represent West Harlem to the borough president, has played a pivotal role in the Manhattanville development over the years. CB9 vehemently opposed Columbia’s original zoning plan for its campus, and in meetings board members have frequently questioned the effectiveness of the WHDC, calling on it to disband entirely in February 2011. With Morgan, former CB9 chair Larry English led the wave of leaders who in November 2011 called on the attorney general to investigate the corporation’s activities. But Georgiette Morgan-Thomas, who took over as CB9 chair a year ago, has taken a decidedly more supportive position than her predecessors, echoing Rangel’s call—and the WHDC’s new slogan, “solutions through collaborations”—to work in cooperation with the organization. “We have to stand behind the institutions in our community that we’ve created to do a job, rather than pull them apart,” she said. Columbia’s Community Benefits Agreement, signed by the University and by CB9 in 2009, promises $150 million to residents of West Harlem in return for the University’s development of a campus in Manhattanville. The WHDC is charged with distributing just over half the money. The funds are transferred from the University to the corporation in increments over 15 years, and the WHDC will receive the next installment of $3 million after the fiscal year closes on June 30, Notice said.